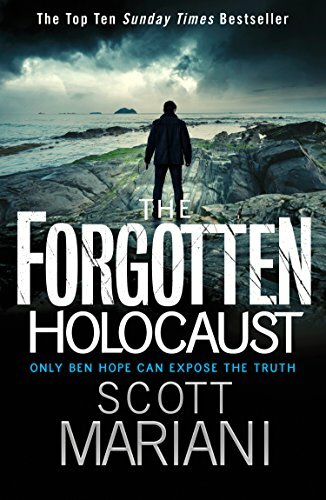 I love the Ben Hope series and this is one of the best. It's jam-packed full of action and has an extremely interesting, well-researched historical theme throughout. I don't want to give too much away but suffice to say, read it and be pleasantly surprised. ONLY BEN CAN EXPOSE THE TRUTH. A lost, aimless and hard-drinking Ben Hope has wandered back to his old haunt in Ireland. The ex-SAS soldier is searching for peace, but trouble soon appears when Kirsten Hall, a young journalist, is brutally murdered right in front of him. Unable to prevent it, Ben is driven by guilt to hunt down the killers. All he has to go on is a handful of clues from Kirsten’s research – but how can the journals of Lady Stamford, the wife of an English lord during the time of the Irish Great Famine, have put Kirsten in mortal danger? Ben’s quest for the truth leads him across the world and finally to Oklahoma, USA, where a deadly secret awaits. What connects the journals, a wealthy American politician and an intrigue surrounding the Irish famine?